What is automatic vehicle location device? Automatic vehicle location device uses Global Positioning System GPS to help car owners track their vehicles, and all tracking processes can be done on the Internet. The focus of the GPS application is a piece of user equipment. The user equipment includes receivers and data processing, display devices and other receiving devices. The device accepts the signals transmitted by one of the satellites, obtains the distance between the satellite and the GPS device, and determines the device’s position through data processing. Now, GPS positioning accuracy can reach less than ten meters. 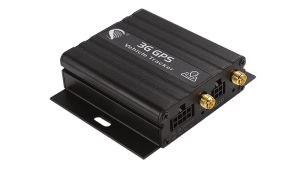 GPS enables automatic vehicle location and in-vehicle navigation systems that are widely used throughout the world today. Convenient Automatic vehicle location device has a system to meet the various needs of the car owner, The functions of this system focus on GPS automation positioning, information exchange between vehicle and control center by GPRS, the collection of vehicle state and etc. 3. Reducing fuel costs are one of the biggest costs of vehicle tracking, but GPS tracking equipment can help reduce these costs and save valuable money. The company may not be able to control the price of gasoline, but when they track the company’s vehicles with GPS, they can monitor the amount of fuel consumed by each vehicle by using monitoring software. They can study fuel consumption and eventually find ways to reduce gasoline bills. 4. Ability to recover a vehicle after theft If the company’s vehicle is stolen, the GPS vehicle tracking system will provide you with SMS alerts and mapping data. You can submit these to the appropriate authorities to recover stolen vehicles and protect company assets. 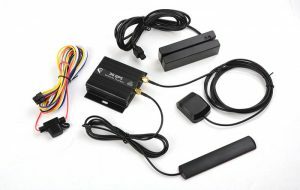 That is an automatic vehicle location device if you need automatic vehicle location device after you have learned functions about GPS tracker?